I have a fun and festive craft for you today. 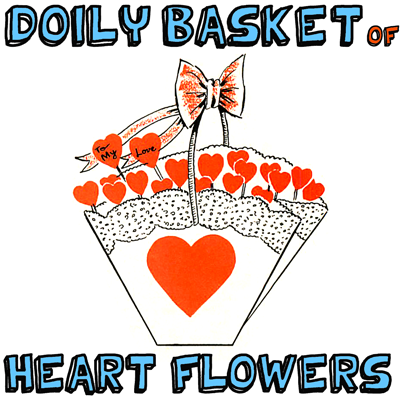 I’m going to show you how to make a Doily Basket of Heart Flowers perfect for Valentine’s Day. The craft is so much fun and turns out just absolutely lovely. 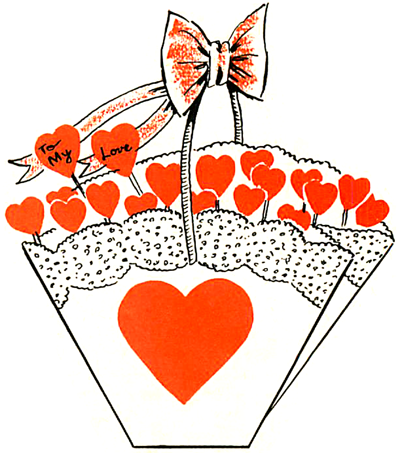 This basket makes for a perfect decoration for Valentines Day or better yet…. a gift for your someone special. Either way…. the basket is sure to be enjoyed by any onlookers. Decoration or gift… the choice is yours. 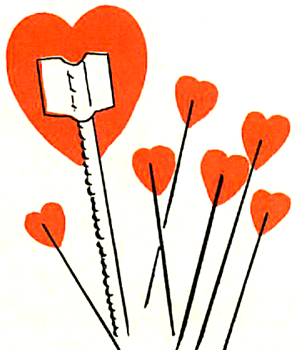 So, go off and get the materials needed and meet me back here for some Valentine’s Day crafting fun. Check out our other Valentine’s Day Crafts. To make this craft, obtain a round paper lace doily. 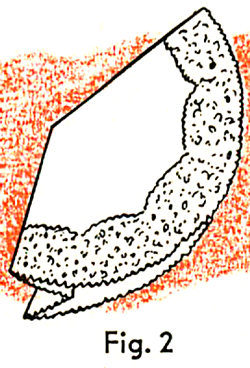 Fold once, as seen in Figure 1 above. Now, find the center of the doily and then fold. 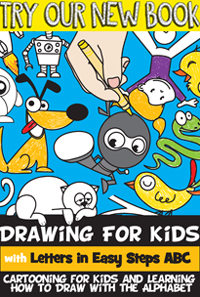 Then fold the right edges inward toward the center. 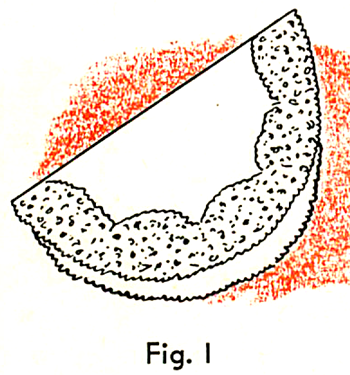 Crease in place, as seen in Figure 2 above. Do the same with the left edges. When this has been done, you will have a figure similar to Figure 3. 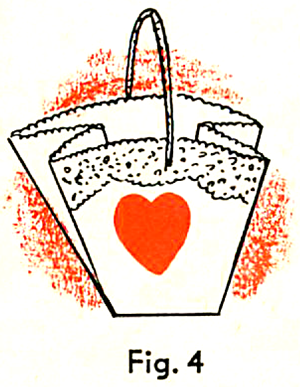 Paste a small red heart on each side of the basket. 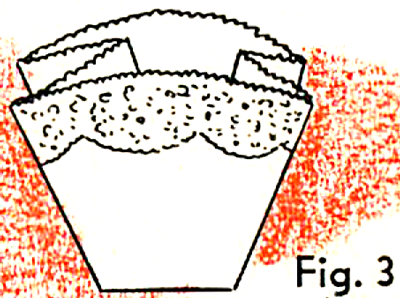 Attach a pipe cleaner handle in the manner seen in Figure 4. Look how beautiful this Doily Basket of Heart Flowers turns out. Don’t you just love it? It will make either a great decoration for Valentine’s Day or a gift for your someone special. Either way…. anyone seeing this Valentine’s Basket will surely love it.